This name uses Spanish naming customs: the first or paternal family name is Lara and the second or maternal family name is Santoya. Erislandy Lara Santoya (born April 11, 1983) is a Cuban-American professional boxer. He held the WBA light middleweight title from 2014 to 2018 (promoted to Super champion in 2016), and the IBO light middleweight title from 2015 to 2018. As of April 2018, he is ranked as the world's third best active light middleweight by The Ring magazine, BoxRec, and Transnational Boxing Rankings Board. Lara is widely regarded as one of the most technically skilled fighters in boxing today. He was captain of the Cuban national amateur team, winning a gold medal in the welterweight division at the 2005 World Championships as well as three consecutive Cuban national championships from 2005 to 2007. In 2003 and 2004, Lara lost four times against two-time world champion Lorenzo Aragon. In 2005 after Aragon stepped down, Lara bested his countryman Yudel Jhonson Cedeno repeatedly and was sent to the world championships. There he avenged an earlier loss to Russian Andrey Balanov, beat American Boyd Melson, upset top favorite and Olympic champion Bakhtiyar Artayev (31–22), and won Gold against Magomed Nurutdinov (BLR). Lara has lost twice to another Kazakh, Bakhyt Sarsekbayev. In their only meeting, Lara beat American world champion Demetrius Andrade 9–4. Erislandy Lara was considered a favorite to win the gold medal at the 2008 Beijing Olympic Games. However, in 2007, Lara and Guillermo Rigondeaux defected from Cuba during the Pan American Games in Rio de Janeiro, Brazil. Some weeks later, he was caught by Brazilian authorities and returned to Cuba where he was banned from practicing boxing indefinitely. In 2008, Lara attempted a second defection, this time on a speed boat to Mexico. Lara was successful and made his way to Hamburg, Germany, where he joined former Olympic champions Odlanier Solis, Yan Barthelemy, and Yuriorkis Gamboa in the Arena Box-Promotion stable. 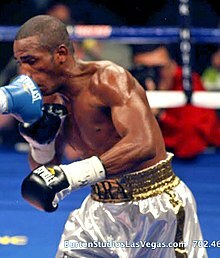 On January 1, 2009, Erislandy Lara made his ESPN debut and scored a first-round TKO against Rodrigo Aguiar. Lara's following fight came on February 20, 2009, against Keith Gross. Lara dropped Gross with a left hand, but Gross beat the count on wobbly legs. Lara continued unleashing combinations to the head and body. A left uppercut finished the fight within round one. On May 2, 2009, on the Pacquiao vs. Hatton undercard, Lara faced Chris Gray. Lara won the fight via unanimous decision. On May 22, 2009, Lara faced aging Edwin Vazquez. Lara finished the fight with good combinations, prompting the referee to stop the fight in round four. On that same night, fellow Cuban boxer Guillermo Rigondeaux made his pro debut, which he also won via referee stoppage in the third round. After beating Edwin Vazquez, Lara went on to win nine straight fights punctuated by four consecutive first-round knockout victories. On March 25, 2011, at The Cosmopolitan in Las Vegas, Lara fought Carlos Molina to a ten-round majority draw. Lara started by frequently targeting Molina's body with the left uppercut when Molina would attempt to close the distance. Early on Molina seemed to predict and nullify much of Lara's attempted one-two combinations. Although Lara had trouble connecting his signature straight left hand initially, he found the distance by the middle rounds, began to mix in short hooks to the head, and blocked most of Molina's constant body work. Molina, on the other hand, was rarely able to find Lara's head throughout the entire fight. Relying on looping punches, Molina stayed close and took advantage of the clinches to land to the body. Visibly fatigued, Molina developed a cut under his left eye near the beginning of the ninth round as Lara landed a hard, clean straight left hand and pushed the pace. Molina's higher output and pressure were favored by one judge while Lara's cleaner, sharper output and defense went largely unnoticed by ringside commentators. The final scorecards read: 95–95, 95–95, and 97–93 in favor of Molina. Lara fought former WBO welterweight champion Paul Williams on July 9, 2011, in Atlantic City where he lost a majority decision. Judges Don Givens (116–114) and Hilton Whitaker II (115–114) both favored Williams, while Al Bennett scored it even at 114–114. Most boxing analysts and fans believed that Lara clearly won the fight and had been unfairly judged. Lara was able to land hard, clean left hands throughout the fight while maintaining superb defense. Williams appeared hurt in the later rounds but did, however, keep up a high output of punches despite their relative ineffectiveness. CompuBox recorded Lara landing 49 percent of his power punches compared to 21 percent by Williams. Lara also landed seven more jabs and 17 more power punches than Williams, despite the near two-fold activity by Williams. Consequently, the New Jersey State Athletic Control Board suspended all three judges, and Lara received his first loss as a professional fighter in a highly controversial fashion. On April 20, 2012, Lara made his comeback to the ring after nine months to fight Ronald Hearns for the WBC light middleweight semi-final eliminator spot at the Beau Rivage casino resort in Biloxi, Mississippi. The fight, which was scheduled to go ten rounds, simply lasted one minute and 34 seconds as Lara delivered an impressive TKO in the first round. Referee Keith Hughes decided to stop the fight after Lara had sent Hearns to the canvas once with a clean left hook that required count and immediately after delivered two fast combinations (one of which also required count) that seemed to be enough to overwhelm Hearns who seconds before the stop by the referee appeared to be defenseless upon Lara's final combination. On November 10, 2012, at the Wynn Resort in Las Vegas, Lara faced Vanes Martirosyan, who was undeafeted at the time and known for his amateur wins over Andre Berto, Austin Trout, and Timothy Bradley. Lara connected on 42 percent of his power punches (40/95) while Martirosyan landed 16 percent of his (27/167) and only 6 jabs throughout the entire fight, according to CompuBox. Lara outlanded Martirosyan in overall punches, 74 to 33. After a clash of heads resulted in a gash over Martirosyan's left eye in the ninth round, the ringside doctor waved off the fight. The referee ordered the judges to score the final 26 seconds of the bout, which resulted in a technical draw (87–84 in favor of Lara, 86–85 in favor of Martirosyan, and 86–86). Dave Moretti was responsible for the tied scorecard and judged the ninth round as 10–10, disagreeing with the other two judges who scored the final 26 seconds as 10–9 for Lara. On June 8, 2013, at the Home Depot Center in Carson, California, Lara received the first two knockdowns of his professional career en route to earning a TKO victory over Mexico's Alfredo Angulo along with the interim WBA light middleweight title. Angulo's left hook was vicious as he rushed in, guarded and low. Lara, in return, was able to utilize zigzag formations and vary the speed of his movement to bait Angulo's aggression. However, Lara struggled with the aggression of Angulo at times and was put on the canvas in rounds 4 and 9 courtesy of Angulo’s vaunted left hook. Lara landed 56 percent of his power punches while Angulo landed 31 percent of his, according to CompuBox. The fight was stopped in round ten when Angulo refused to continue after a straight left hand by Lara caused swelling around his right eye. Angulo's injury was later revealed to be a broken orbital bone. On December 7, 2013, Lara fought Austin Trout at Barclays Center in Brooklyn, New York. Considered the favorite to win, Trout had recently beaten Miguel Cotto. Lara, however, put on a dominant performance as he immediately nullified Trout’s offense using deft footwork and clean punching. In outclassing Trout, Lara scored a knockdown in round eleven via straight left hand. Trout was hurt for the remainder of the round as Lara pressed the action. Lara cruised to the unanimous decision (117–111, 117–111, and 118–109) and retained his interim WBA light middleweight title. Lara fought Saúl Álvarez on July 12, 2014, at the MGM Grand in a non-title match. Lara's WBA light middleweight title was not on the line as the fight took place at a 155-pound catchweight, and both fighters weighed in at precisely 155 pounds. Álvarez rehydrated to 171 pounds while Lara came into the ring at 166 pounds. In a very close and competitive fight that went to a split decision, Álvarez came out on top with the two judges scoring 115–113 in favor of each fighter and the final judge scoring 117–111 in favor of Álvarez. The final scorecard was controversial as many observers considered it far too wide. According to CompuBox, Lara landed 55 jabs to nine from Álvarez, who landed the jab at a five percent connect rate. Álvarez managed to land 88 power punches (73 to the body) while Lara landed 53 power punches all to the head. Lara's clean punching along with his defense and movement were weighed against Álvarez's effective aggressiveness. Lara came out in dominant fashion, utilizing a stick-and-move style and capturing the early rounds. Álvarez was later able to hammer away to the body when he had Lara on the ropes but never adjusted to Lara's one-two combinations. Lara's lead hand played a huge role in this combination's effectiveness, but his output dropped in the middle rounds. Álvarez was able to cut Lara with a lead left uppercut in the seventh round. Although the decision remains controversial, any talk of a rematch in the future was dismissed by Oscar De La Hoya who went on to say, "No one wants a rematch." This fight resulted in Lara's second professional loss. On December 12, 2014, at the Alamodome in San Antonio, Texas, Lara showcased his ability to move in range to punch and then swiftly escape without taking damage against Ishe Smith. Lara consistently landed the straight left hand after “blinding” or “occupying” Smith’s guard with the lead hand. Lara would move in a forward direction towards Smith and escape in a linear direction, oftentimes sidestepping, while landing the one-two combination. This lateral movement was enhanced by Lara’s wide boxing stance, which also enhanced Lara’s punching power. Lara was frequently able to turn Smith into additional punches by stepping around Smith’s lead foot, thus enabling Lara to set traps. Lara dominated the fight and successfully defended his WBA (Regular) light middleweight title by unanimous decision with the scorecards reading: 119–109, 119–109, and 117–111. On June 12, 2015, Lara defended his WBA (Regular) light middleweight title and won the vacant IBO light middleweight title against Delvin Rodríguez at the UIC Pavilion in Chicago. In a technical exhibition, Lara's exquisite timing and fast hands allowed him to out land Rodríguez 233 to 63 in total punches and connect on 62 percent of his power punches. Lara was able to score a knockdown in round six via straight left hand. In a virtual shutout, Lara earned a unanimous decision with all three judges agreeing 120–107. On November 25, 2015, Lara defended his WBA and IBO light middleweight titles against Jan Zaveck in Hialeah, Florida. On a wetted canvas due to prior heavy rain, Lara began by walking down Zaveck who was relying on wide punches. Lara continued to stay in the pocket and countered Zaveck, halting his aggression. At the end of round two, Zaveck was hurt after Lara split his jab with a clean left hand. Lara landed a straight left hand at the start of round three followed by a series of combinations punctuating with an uppercut at which point Zaveck put his hand out, turned away, and refused to continue. Zaveck appeared to be in quite a lot of pain after the fight, which was stopped 41 seconds into round three. It was announced that Lara would be defending his titles in a rematch from 2012 with Vanes Martirosyan, which ended in a draw. The fight was to take place as part of a triple header also including the Charlo twins and Austin Trout. The fight took place on May 21, 2016 in Las Vegas. On fight night, Lara unofficially weighed 160.5 pounds while Martirosyan came in at 170 pounds. Martirosyan spent much of the fight attempting to impose his strength and body work on Lara. As a result, Martirosyan inadvertently landed multiple low blows until he was deducted a point in the eleventh round. The bout was also plagued by head clashes much like during their previous encounter. In the early rounds both men stayed in perfect range, each relying on their own reflexes and quick transitions from defense to offense. Lara found openings for his sharp punches. As the fight progressed, he was more mobile and dictated the pace, outmaneuvering Martirosyan while managing to land flashy 1-2-1 combinations. After seizing ring generalship, Paulie Malignaggi noted Lara's "fluid footwork" and a resemblance to Pernell Whitaker as he often ducked low and displayed tricky pivot moves to evade Martirosyan's punches by inches. Lara landed 63 jabs and 60% of his power punches to Martirosyan's 16 jabs and 23% power punch connect rate. The fight averaged 491,000 viewers and peaked at 545,000 viewers. Early reports on November 30, 2016, stated that there were talks of Lara to defend his WBA and IBO titles against former WBA light middleweight champion Yuri Foreman (34-2, 10 KOs). Lara's team was also in talks with Luis Collazo. It was confirmed that the fight against Foreman would headline the Premier Boxing Champions on January 13, 2017. The fight was held at the Hialeah Park Racing and Casino in Miami, Florida, in front of a largely Cuban crowd. Foreman was knocked down in round three. Upon closer inspection, the fall could easily have been ruled a slip. Lara won the fight after delivering a knockout in the fourth round via left uppercut. Although Foreman beat the count, he was on unsteady legs after multiple attempts to get back up. The referee promptly waved off the bout. In the post-fight interview, Lara expressed his desire to finally face off with unified middleweight titlist Gennady Golovkin and rematch lineal middleweight titlist Canelo Álvarez. The fight averaged 547,000 viewers on Spike TV and peaked at 707,000. It was confirmed on August 24, 2017, by Ringtv that Lara would fight former Olympian Terrell Gausha (20-0, 9 KOs) as part of a super welterweight triple header on October 14, 2017, at the Barclays Center in New York City. Other fights on the card would include Jermell Charlo's mandatory title defence against top prospect Erickson Lubin and Jarrett Hurd defending his IBF title against former champion Austin Trout. In front of 7,643, Lara knocked down Gausha en-route to a 12-round unanimous decision to retain his world titles. Lara used his accurate jab and left hand putting on a clinic winning with the scorecards 116-111 and 117-110 twice in his favour. Lara connected with a left hook followed by a left straight, which floored Gausha in the fourth round. Lara landed 121 of 528 punches (23%), while Gausha connected with 77 of 329 (23%), which appeared to do little damage. Lara praised his opponent in the post-fight interview, "We want to give a lot of credit to Gausha. He's an Olympian. I take the rhythm of the boxing match, and that's when I take over. He's fighting with the best in the division. He's not a stupid fighter, but he knew who he was facing today." Lara earned $700,000 for the fight and Gausha had a $250,000 purse. This fight, which was the main event of a triple header, averaged 399,000 viewers and peaked at 476,000 viewers on Showtime. Demetrius Andrade vacated his WBA 'Regular' title on October 22, 2017 after making his debut at middleweight. The WBA, in their efforts to reduce the number of titles in each weight division, promoted Interim titleholder Brian Castaño (14-0, 10 KOs) to 'Regular' champion. On October 29, the WBA ordered the fight between Lara and Castaño. On January 9, 2018 it was confirmed that a deal was being put in place for a unification fight between Lara and IBF light middleweight champion Jarrett Hurd (21-0, 15 KO) for April 2018 with Showtime televising the bout. On January 25, the fight was confirmed to take place on April 7. It was reported Lara would receive a purse of $1 million and Hurd would receive a $500,000 purse. Lara weighed 153.5 pounds and Hurd came in slightly lighter at 153 pounds. Hurd won a 12 round split decision over Lara in what was a potential fight of a year candidate to become a unified light middleweight champion. With the fight in the balance, Hurd knocked Lara down with a short left hook in round 12 with a minute remaining. Lara was hurt from the knockdown, but was able to get up and still throw some nice shots. Hurd dominated the final round. Two judges scored the fight 114-113 for Hurd and the third judge had the same score for Lara, meaning the knockdown was the deciding factor in the fight. A lot of rounds where close with Lara using effective counter punching and combinations, whereas Hurd used his size to stalk Lara and land power shots. Lara's right eye began to swell from round 7 and was eventually cut at the start of round 12. Lara started the fight the better boxer of the two, due to Hurd not putting as much pressure on Lara until the later rounds. With the win, Hurd became seventh unified world title holder in light middleweight history, joining Hall of Famers Terry Norris, Félix Trinidad, Oscar De La Hoya and Winky Wright, as well as Floyd Mayweather Jr. and Canelo Álvarez. Despite the knockdown, Lara thought he had a good enough lead to win the fight. Had Lara not been knocked down, the fight would have finished a majority draw with both boxers keeping their respective belts. In regards to the decision, Lara said, "Besides the last round, I thought I was winning this fight easily. That's not to decide the fight. One punch in a fight doesn't determine the fight. One hundred percent I want the rematch. The problem was the cut on the eye. I couldn't see in the last round." After the fight, Hurd said, "It was a tough one, but I went out there and did exactly what I said I was going to do -- fight all 12 rounds and get the victory. I didn't feel like that [12th-round knockdown for the win]. I feel like I was in control the whole fight, applying the pressure." According to CompuBox statistics, Hurd landed 217 of 824 punches thrown (26%) and Lara landed 176 of his 572 thrown (31%). Hurd outlanded Lara 106-71 in the final four rounds, with 96 being power shots compared to Lara's 58 power punches. The fight, televised on Showtime, averaged 490,000 viewers and peaked at 521,000 viewers. Although the WBA ordered a direct rematch between Lara and Hurd, the latter rejected the idea stating he wanted to move on to bigger fights to become undisputed light middleweight champion. In October 2018, at the WBC annual convention in Kiev, it was announced that Jermell Charlo would be allowed to make another voluntary defence and Lara was ordered to fight Julian Williams (25-1-1, 15 KOs, 1 NC) in a final eliminator. At the time, Williams was already IBF's #1 ranked. On October 30, according to Brian Castaño's manager Sebastian Contursis, a deal was being worked out to have Castaño fight Lara. A date in January 2019 was being discussed. In order for Castaño to defend his WBA 'Regular' belt against Lara, the WBA granted him a special permit. 23 Loss 19–2–2 Canelo Álvarez SD 12 Jul 12, 2014 MGM Grand Garden Arena, Paradise, Nevada, U.S.
19 Win 17–1–1 Freddy Hernández UD 10 Jun 30, 2012 Fantasy Springs Resort Casino, Indio, California, U.S.
18 Win 16–1–1 Ronald Hearns TKO 1 (10), 1:34 Apr 20, 2012 Beau Rivage, Biloxi, Mississippi, U.S.
17 Loss 15–1–1 Paul Williams MD 12 Jul 9, 2011 Boardwalk Hall, Atlantic City, New Jersey, U.S.
16 Draw 15–0–1 Carlos Molina MD 10 Mar 25, 2011 Cosmopolitan of Las Vegas, Paradise, Nevada, U.S.
15 Win 15–0 Delray Raines KO 1 (10), 2:59 Jan 14, 2011 Fantasy Springs Resort Casino, Indio, California, U.S.
13 Win 13–0 Willie Lee TKO 1 (10), 1:48 Aug 18, 2010 Civic Center, Monroe, Louisiana, U.S.
12 Win 12–0 William Correa TKO 1 (10), 2:34 Jul 9, 2010 Softball Country Arena, Denver, Colorado, U.S.
11 Win 11–0 Danny Perez UD 10 Apr 2, 2010 The Joint, Paradise, Nevada, U.S.
10 Win 10–0 Grady Brewer TKO 10 (10), 2:44 Jan 29, 2010 The Joint, Paradise, Nevada, U.S.
9 Win 9–0 Luciano Perez UD 10 Dec 12, 2009 UIC Pavilion, Chicago, Illinois, U.S.
8 Win 8–0 Jose Varela KO 1 (8), 2:12 Sep 19, 2009 MGM Grand Garden Arena, Paradise, Nevada, U.S.
7 Win 7–0 Darnell Boone UD 6 Jul 17, 2009 Planet Hollywood Resort and Casino, Paradise, Nevada, U.S.
6 Win 6–0 Edwin Vazquez TKO 4 (8), 1:13 May 22, 2009 Fontainebleau Hotel, Miami, Florida, U.S.
5 Win 5–0 Chris Gray UD 4 May 2, 2009 MGM Grand Garden Arena, Paradise, Nevada, U.S.
4 Win 4–0 Keith Gross KO 1 (4), 1:09 Feb 20, 2009 Don Taft University Center, Fort Lauderdale, Florida, U.S.
3 Win 3–0 Rodrigo Aguiar TKO 1 (4), 2:59 Jan 9, 2009 Buffalo Bill's, Primm, Nevada, U.S.
^ a b Showtime Championship Boxing tale of the tape prior to the Jarrett Hurd fight. ^ Keidel, Jason (July 11, 2014). "CBS Local Sports Q&A: Erislandy Lara 'Chopped' Alvarez's Pride To Get The Fight". CBS Sports. CBS. Retrieved January 12, 2018. ^ Kelsey McCarson. "The Underappreciated Boxing Brilliance of Erislandy Lara". The Sweet Science. ^ "Erislandy Lara". goldenboypromotions.com. Archived from the original on 2015-07-07. ^ "Erislandy Lara, Carlos Molina Ends in a Majority Draw - Boxing News". Boxingscene.com. 2011-03-26. Retrieved 2014-05-08. ^ "CompuBox Punch Stats: Molina Has The Edge Over Lara". BoxingScene.com. Retrieved 2018-04-08. ^ "Paul Williams looks to rebound from knockout in bout against Erislandy Lara - ESPN". Sports.espn.go.com. 2011-05-20. Retrieved 2014-05-08. ^ "Paul Williams vs. Erislandy Lara - CompuBox Stats". Boxingscene.com. Retrieved 2016-06-21. ^ "Paul Williams-Erislandy Lara judges suspended by New Jersey State Athletic Control Board". Espn.go.com. 2011-07-13. Retrieved 2016-06-21. ^ "Williams-Lara Result Upsets HBO Broadcasters". SportsGrid. 2011-07-10. Retrieved 2014-05-08. ^ "Erislandy Lara-Ronald Hearns To Battle on February 11th?". BoxingScene.com. Retrieved 2018-04-08. ^ "Erislandy Lara Discusses The Bout With Ronald Hearns". BoxingScene.com. Retrieved 2018-04-08. ^ "Lara's Lightning KO Steals Taylor's Main Event Thunder". BoxingScene.com. Retrieved 2018-04-08. ^ "Vanes Signed Contract Three Weeks Ago, Waits on Lara". BoxingScene.com. Retrieved 2018-04-08. ^ "Schaefer: Lara Signs To Face Vanes on November 10th". BoxingScene.com. Retrieved 2018-04-08. ^ "Martirosyan vs Lara results: Headbutt results in technical draw after nine rounds". Bad Left Hook. Retrieved 2016-06-21. ^ "Ariza Puzzled With Judge Who Scored For Erislandy Lara". BoxingScene.com. Retrieved 2018-04-08. ^ "Angulo vs. Lara To Co-Headline Maidana-Lopez Card". BoxingScene.com. Retrieved 2018-04-08. ^ "Erislandy Lara vs Alfredo Angulo - Film Study". YouTube. 2014-05-10. Retrieved 2016-06-21. ^ Scott Christ. "Angulo vs Lara results: Erislandy Lara gets off canvas twice, stops Angulo in 10th round". Bad Left Hook. ^ "Lara vs. Trout To Have "Regular" WBA Title at Stake". BoxingScene.com. Retrieved 2018-04-08. ^ ringtv (8 December 2013). "Erislandy Lara drops, dominates Austin Trout to unanimous decision". Ring TV. Archived from the original on 26 June 2015. ^ "Canelo Affirms superstar status with split decision over Erislandy Lara - Bleacher Report". bleacherreport.com. 2014-07-13. Retrieved 2014-07-14. ^ "Alvarez beats Lara but the debate on who 'really' won continues - Ring TV". Ringtv.craveonline.com. 2014-07-13. Retrieved 2016-06-21. ^ Erislandy Lara vs Canelo - Lara Film Study. YouTube. 6 October 2014. ^ "Oscar De La Hoya Wont Explore Canelo Alvarez Rematch - Las Vegas Sun". lasvegassun.com. 2014-07-13. Retrieved 2014-07-14. ^ "Lara-Smith in Play For December 12 in San Antonio". BoxingScene.com. Retrieved 2018-04-08. ^ ★ Erislandy Lara vs Ishe Smith - Film Study ★. YouTube. 6 February 2015. ^ Joseph Zucker. "Erislandy Lara vs. Ishe Smith: Winner, Scorecard and Analysis". Bleacher Report. ^ "Erislandy Lara earns unanimous-decision win over Delvin Rodriguez to keep junior middleweight title". ESPN.com. ^ "Erislandy Lara beats Jan Zaveck to defend junior middleweight title". Espn.go.com. 2015-11-26. Retrieved 2016-06-21. ^ "PBC on ESPN results: Erislandy Lara dominates, stops Jan Zaveck in 3". Bad Left Hook. Retrieved 2016-06-21. ^ "LARA VS. MARTIROSYAN". Retrieved December 1, 2016. ^ "Lara vs Martirosyan II results: Erislandy Lara wins decision to retain WBA title". Bad Left Hook. 2016-05-22. Retrieved 2016-06-21. ^ "Lara-Martirosyan 2 averages 491K viewers on Showtime » Boxing News". Boxing News 24. 2016-05-25. Retrieved 2018-04-10. ^ "ERISLANDY LARA AND YURI FOREMAN CLOSE TO DEAL FOR JAN. FIGHT". The Ring. November 30, 2016. Retrieved December 1, 2016. ^ "Erislandy Lara to defend against Yuri Foreman". Ring News 24. 2016-12-14. Retrieved 2016-12-14. ^ "Erislandy Lara stops Yuri Foreman in four rounds - The Ring". The Ring. 2017-01-14. Retrieved 2017-01-15. ^ "WBA champ Lara targets GGG and Canelo • Boxing News". Boxing News. 2017-01-14. Retrieved 2017-01-15. ^ "Erislandy Lara-Yuri Foreman Card Generates 547,000 Viewers". Boxing Scene. January 20, 2017. Retrieved January 21, 2017. ^ "Jermell Charlo-Erickson Lubin tops 154-pound title tripleheader on Oct. 14 - The Ring". The Ring. 2017-08-24. Retrieved 2017-08-26. ^ "Erislandy Lara Drops, Decisions Terrell Gausha in a Snoozer - Boxing News". www.boxingscene.com. Retrieved 2017-10-15. ^ "Lara keeps belt in lackluster win over Gausha". ESPN.com. Retrieved 2017-10-15. ^ "Showtime Viewership Went Down During Lara-Gausha Main Event - Boxing News". www.boxingscene.com. Retrieved 2017-10-18. ^ "WBA promote Castano to Regular champion". ESPN.com. 2017-10-30. Retrieved 2017-10-30. ^ "WBA to order Erislandy Lara vs. Brian Castano". Bad Left Hook. Retrieved 2017-10-30. ^ "Erislandy Lara vs. Jarrett Hurd Deal Getting Very Close For April". BoxingScene.com. Retrieved 2018-01-25. ^ RINGSIDE. "Spectacular! - Showtime / PBC unveil sensational six months featuring mass of world title fights". WBN - World Boxing News. Retrieved 2018-01-25. ^ "Broner-Figueroa, Stevenson-Jack, Lara-Hurd Set For Showtime". BoxingScene.com. Retrieved 2018-01-25. ^ "Purses: Lara $1 million, Hurd $500K » Boxing News". Boxing News 24. 2018-04-06. Retrieved 2018-04-07. ^ "Jarrett Hurd vs. Erislandy Lara - Official Scorecards - Photo". BoxingScene.com. Retrieved 2018-04-10. ^ "Jarrett Hurd Drops, Decisions Erislandy Lara To Unify Titles". BoxingScene.com. Retrieved 2018-04-10. ^ "Hurd's split decision win over Lara unifies titles". ESPN.com. Retrieved 2018-04-10. ^ "Final-round drama lifts Jarrett Hurd past Erislandy Lara in match of the year candidate". CBSSports.com. Retrieved 2018-04-10. ^ "Hurd-Lara Drew Higher Ratings for Showtime Than Joshua-Parker". BoxingScene.com. Retrieved 2018-04-10. ^ "Jarrett Hurd vs. Erislandy Lara Rematch Ordered". BoxingScene.com. Retrieved 2018-10-31. ^ "Lara-Williams Eliminator to Become Charlo's WBC Mandatory". BoxingScene.com. Retrieved 2018-10-31. ^ "Brian Castano vs. Erislandy Lara Showdown Eyed For January". BoxingScene.com. Retrieved 2018-10-31. Wikimedia Commons has media related to Erislandy Lara. This page was last edited on 17 April 2019, at 12:25 (UTC).